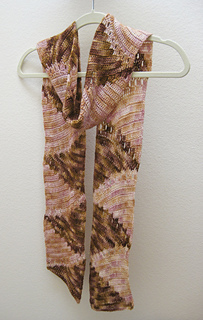 Crochet short rows create the pie slice shaped wedges that comprise this quick-to-make reversible scarf. Two contrasting colors help accentuate the pie slices while a line of eyelets zig zags the length of the scarf. 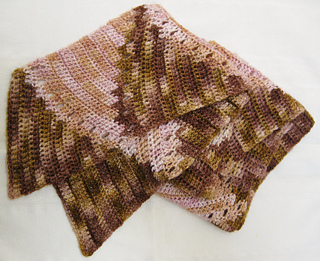 As a result of the short row construction, the rows of double crochet change direction from slice to slice adding an interesting texture. 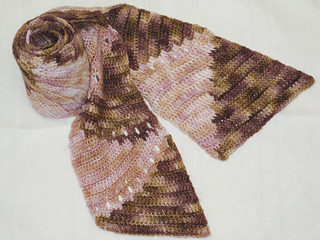 The scarf only takes about 1/2 a skein of each color and because Dizzy Blonde has a generous amount of yardage, you will have plenty of yarn left for another project.